Dear Reader – this is a post that set out with the intention to be short and sweet. It has however turned into anything but. Perhaps grab yourself a mug of something Bulletproof to enjoy while you read this post! 😉 This post also contains adult themes – you must be over 18 years of age to read this post. We’ve recently become big fans of the Bulletproof Lifestyle. To be honest the ‘we’ in regards to ‘recently’ probably more relates to me – Graham has been interested in and lightly experimenting with the Bulletproof philosophies over the past year and I’ve only recently jumped on board with him. It takes me a while to ‘catch onto’ these things. It’s often been our experience, time and time again over the years, that Graham will talk to me about something, giving me the ins and outs of a particular program or philosophy and I say “That sounds good honey – hmmmm….” Then about a year later, I come to him rabbiting on with great enthusiasm about some great concept I’ve been reading about that I think is really wonderful and suggest that we should give it a try together if he’d like. He grins a little smile and says “A-ha, yep, sure.” Almost like a ‘been there, done that, so glad you’ve decided to join me honey’ type thought behind his smile! These things need to be my idea I think for me to fully commit to them, he just has to wait about 1 year normally for me to be onboard with something he’s discovered! Lucky he’s a patient man! We’re really enjoying the Bulletproof recipes and there is a wealth of them around. Dave has created some really fantastic dishes that have delicious and satiating results. With one exception – The No-Coffee Vanilla Latte. I wish I could say something good about this blend, but I just can’t unfortunately. Hot water, vanilla powder, butter, coconut oil (or MCT) and a drop or two of stevia if you choose – which we normally opt not to use. It just needs a little ‘something else’ to make it satiating and appealing in my opinion. It tasted exactly like you would expect it to – a weak milky cup of vanilla flavoured hot water. Eh – not exaclty an enticing nightcap! In my opinion, there is much more flavourful and nutrient dense caffeine free Bulletproof beverages you can enjoy in calmer times through the day, such as the Egg Nog recipe. To be honest, on that point of sweetness I mentioned above, I’ve been really surprised since starting with the Bulletproof way of eating, how quickly I have had little to no sweet cravings. I’m talking about having noticed huge obvious changes in a matter of days. For someone with as big a sweet tooth as me, that is quite impressive. Before when we have followed certain eating plans or philosophies, I’ve always still had sweet cravings that have really taken all my will power to not reach for the jar of medjool dates as I walk into the pantry preparing a meal. As far as I’ve experienced with Bulletproof, I’m not even thinking about sweet foods. I’m finding that something in me has almost ‘reset’ and I am discovering all the sweetness I need within the foods such as the vanilla, coconut oil or paste and vegetables natural flavours. I remember many years ago when I was a new mother, I would often attend parenting information evenings at our local Steiner school. Ebba Bodame was a wonderfully wise, seasoned Waldorf teacher who often presented very inspiring talks about the natural/holistic approach of Waldorf/Steiner education and how we as parents in the home could embrace and expand on these philosophies used in the schools. Many quotes from those ‘Evenings with Ebba’ remain strongly in my mind to this day, 8 years later. One of them being when Ebba was talking about the diet we feed our children. She spoke about the ‘sweetness’ in food and how even with giving the children natural ‘sweet’ food like honey or maple syrup we can almost numb their reception to sweetness. Sure, these natural sweeteners are lovely as special treats – maple syrup pancakes on a special occasion or honey cakes on Saint Nicholas Day – but in the day to day flow of our food, Ebba spoke about how it is important for the child to search and find the sweetness within their food. A child who has not had a diet that regularly features these sweet foods will find great sweetness in (as an example) their carrots. We eat quite healthfully and for Chilli’s entire eating life we have been an organic eating family. Our food within the home is organic and if we eat out, we aim to favour places of whole and mindful food offerings and places who use local, quality ingredients from mindfully produced sources. When we moved to Tassie, it called for us to really have an entire overhaul of our food values. Sure organic food is here – but not in the same way it is on the mainland and in our original hometown. It’s not labelled so much, certified is a minority and it’s most definitely not shouted from the rooftops. It takes a real awareness here of where your food has come from, who has grown it and what their values are. There are many mindful, passionate farmers and home growers, producing food in really beautiful, nourishing ways – quietly, humbly in their own little patches. It takes time to find these people, to become friends with these often quiet folk and really understand how they are growing food in their gardens and on their farms. 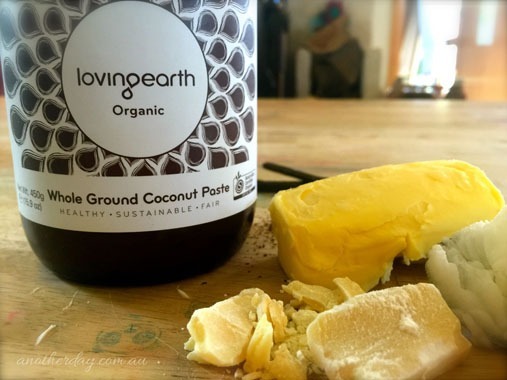 Organic shops are here, but there is only a few of them and for the most part they are quite boutique compared to the larger Sydney based stores and operations. We’ve really watched the organic market and offerings grow over the past 4 years we’ve been here and it is entirely different to what it was when we originally arrived, but it is still a far cry from the vastness and range of something as wonderful as Whole Foods! One of our saving graces here for fresh produce and local mindfully produced food coming together in one easy to access place, is Harvest Feast – a very passionate and mindfully run stall at the weekly Salamanca Markets. I have digressed (as is so my style!) so let’s get back to carrots and their sweetness. It is fair to say even though we are an organic, mindful eating family – with a mother that has a sweet tooth as strong as mine, my children have had more than their fair share of organic sweetness over the years. A carrot is most likely the last thing they would classify as ‘sweet’. 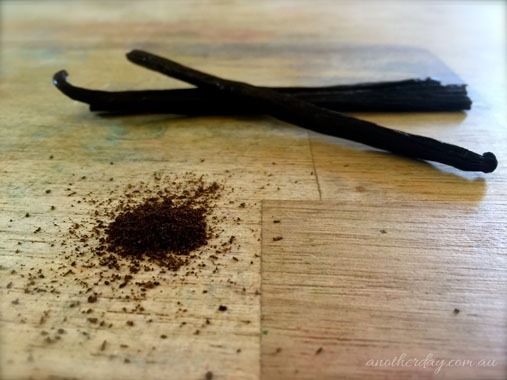 Things like vanilla and coconut all do have a beautiful sweetness to them – however when your sense of sweetness is dumbed by sugars – even if they are organic they are still sweet, sweet sugariness – you really stop ‘finding’ the sweetness in these everyday whole foods. I am therefore thankful to the Bulletproof recipes and philosophy because it has almost hit that sweetness ‘reset’ button in my body and taste buds – allowing me to really find and appreciate the sweetness in so many wonderful foods. I know the same is happening for my family as well. For many years we have followed a Weston A Price Foundation/Nourishing Traditions (WAPF/NT) way of eating. Healthy fats have long been a part of our diet that I value greatly in the health of our family’s food. The Bulletproof diet though, in my opinion takes this to the next level. It really ups the fats. It brings such an awareness to why you are eating the fats and blends into many recipes a combination of wonderful health promoting fats. I’m a little unsure of the specifics of this, I’ve read a lot of information but am still in that stage myself where I am taking it all in and churning it all around before I can regurgitate in my own way the information I have digested. 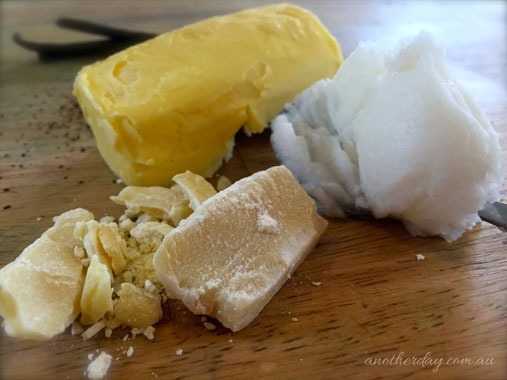 I am guessing though that the way the healthy fats interact with the body and the process’ they mobilise/initiate has a great power over the desire for empty ‘sweet’ foods as opposed to whole healthy foods that we will naturally find our own sweetness in. When I spoke with Graham about this recently, he was talking about how the fats and the types of meals we are eating and even the time of day we eat certain foods, ensures that certain ‘levels’ of the brain are ‘fed’ and therefore there is a change in the messages the certain parts of the brain send for what types of food they feel the body needs… AH! You can see as I said, it really takes a lot of taking the information in and digesting it yourself to be able to put into words exactly what you feel is happening for you. At least that’s what I am finding to be the case for me. Okay, let’s get to this No-Coffee Vanilla Latte (The recipe is coming I promise!) Graham made the Bulletproof recipe of this for us one evening and we drank it, quite unimpressed to say the least. Even with a good dose of healthy fats, it really just felt ’empty’ and needed a bit of ‘ooomph’. Now the one time I am still struggling a little bit with on the Bulletproof way of eating is that afternoon ‘lull’. That typical 2-3pm crash where traditionally while you’re sitting at your office desk, your mind starts screaming at you to pop to the vending machine or corner store to grab yourself a delicious confectionary bar. A great combat for this is a nice mug of Bancha tea which is highly spoken of in Macrobiotic circles. Bancha tea which is a somewhat by-product of Sencha tea making as far as I understand it, is a green tea that I was told (by a macrobiotic friend regarding her experiences) has a nice ability to harmonise blood sugar levels that are out of whack and screaming for that candy bar. Now it’s not the blood sugar level drop and ‘crash’ that I am experiencing in the afternoon, it’s the hunger or maybe just the mental association of that time of day and the general habit of a snack. Spending years at home with the children in a Waldorf inspired homeschooling environment, morning and afternoon snacks are amongst the cornerstones of each day. Inevitably I end up sharing in those meals and over the years I’ve found myself eating more food than I need to in a day, including many that are quite sweet and carb loaded as well. One of my differing opinions to Waldorf food values is their heavy emphasis on grains in snacks and meals. These extra snacks have not, I can tell you, been conducive to getting my post 2 pregnancies mid section back into pre baby growing shape! 😉 So in this afternoon lull, I’m not finding myself ‘crashing’ energy wise – but just in finding myself feeling that I am quite hungry and not able to last until dinner a few hours later. Therefore I’m looking at a beverage that is easy to prepare and satiating while not being filled with carbs or a huge protein hit. Something that is nutrient dense, honours the Bulletproof values, that I can easily make and sit to enjoy with the children as they have their afternoon snack. Some days we’ve eaten avocado boats – which are always a fun, super easy to prepare and well loved snack by the children. Other days we might make ants on a log and sometimes we splurge for something a bit special as a total treat and have a Bulletproof muffin! I also find dandelion to be a great mid afternoon beverage to blend into a Bulletproof base. Our whole family is quite fond of dandelion tea and Graham and I have been drinking multiple cups every day for a good few years now. We go through waves of having totally exhausted ourselves of it and taking a break, but for the most part, it’s a staple in our diet. I love the comfort cup of creaminess and warmth it offers as a morning awakening or an evening wind down. I also love that it’s most likely giving my liver a good dose of TLC to keep that in good shape! We generally brew our dandelion for around 8 minutes to get a good strong infusion and then sweeten with a teaspoon of honey and add almond milk – delicious, but definitely not Bulletproof with the honey and almond milk as well as lacking a good dose of those healthy fats. Dave isn’t against herbal teas in his philosophy, but he does warn to approach with caution. As you’ve heard me previously mention, one of the things I LOVE about Bulletproof is the way Dave encourages us to get so intimately in tune with our own bodies. He makes a point of saying that his philosophy is not a blanket approach that is going to suit everyone. It is going to need fine tuning adjustments for each individual – our own personalised bio-hacks! He gives you his experience, research and concluding information and empowers you to go on, in your own way, with that knowledge in your tool box to better understand what is happening inside our bodies with the consumption of certain food types. He then encourages us to dig into our own biology and hack what we need to in order to create our own unique Bulletproof blueprint. In regards to herbal teas he recommends really paying attention to what happens in your own body when you consume this beverage. It may have the medicinal benefit that is a wonderful aspect to the tea – but he tells us to be conscious of how OUR body relates to the herbal infusion – does it create a craving, inflammation or other reaction in some way within ourself. It really takes the mindlessness out of the way we eat and promotes a big dose of mindfulness when we are eating. I have the image from those food doco’s we’ve most likely all seen of the extremely overweight – possibly even obese person, sitting there on a park bench consuming this greasy, giant hamburger. The contents are spilling out the sides, the paper wrapper is all crumpled up around the bun, unhealthy grease drips from the burger and the whole scene is exaggerated in the film to appear more like a pig in an apple orchard devouring a bucket of scraps, than someone enjoying their food. There is no beauty in this at all and eating is and should be a beautiful thing. In my opinion, there is a huge disconnect to the food being ingested in this instance. I would doubt that someone in this situation has much consciousness about what they are eating and how it tastes. I imagine that if you walked up to them in that moment and said “Without looking at your burger, can you please tell me what ingredients are on the hamburger and describe the taste” – I’m sure you’d get a blank look. Of course this is all a gross exaggeration – while this kind of food consumption happens around the world on a daily if not hourly basis, it’s not always in this manner that mindless eating happens. When we sit down from a busy day, have snacked all afternoon and we know the children need to get into bed – it’s often in these times we sit and ‘chow down’ rather than really honouring the process of eating. I can tell you I’ve eaten more than my fair share of meals where in the realm of a large, nourishing meal – I have honestly not tasted a single bite. Eating slowly and with mindfulness has always been and continues to be my challenge. I have memories as a child of our evening family meal – my father would have finished his large meal and be up clearing his plate before I’d barely made a start on my dinner. Meal table conversation wasn’t rich, if it indeed happened at all. And I totally see myself in that role now. But I also understand that just like me now – my father as a parent to young children then, had all the same things that I do to jump up and tend to – dishes to be washed, post dinner preparation clean up and making sure the children got to bed on time. There’s no way every mouthful I swallow has been chewed 24 times as is recommended to alkalise as best we can our food and activate the digestive enzyme process. Children really do learn what they see and I am increasingly conscious around this topic of what I am showing my children that will form their habits around how they eat as adults in years to come. And I think this goes back through my German ancestral lineage a bit. I have memories of also being at a meal table with my German grandparents and attempting to start a discussion to which in a thickset German accent the reply came back “psht – psht”. I suspect even their childhood shared meals with parents who behaved similarly. These people were living in a war torn time when they often had no idea when their next meal would come and where it would come from. Perhaps it just was the German way? Don’t talk – just eat! Maybe that’s why the traditional image of Germans that I carry in my mind (despite having relatively slender German relatives myself) can tend to be a little more heavily set than the petite French! Isn’t that the secret to why ‘French Women Don’t Get Fat’? Food is such a social event in France and often people eat out in restaurants where conversation is just as rich as their food – they aren’t just sitting, heads down chowing their meal. They are taking a bite – chewing, swallowing, discussing, conversing, having a sip of some divine South of France ‘du vin’, resting for a moment and then finally taking another bite. They have a better awareness of when they are full. As opposed to my so often sense of absolute near explosion and needing to lay on the lounge for a while after dinner because I sat, chowed and just ate way more than I needed to. I’ve heard it said that eating is the most intimate act we will ever undertake in our lives. I equate mindful eating to really beautiful, soul connected love making between two partners that care deeply for each other. Mindless eating as described above on the park bench reminds me of just that – a spare of the moment, fleeting fling of passion most probably somewhere like a park bench between two people that have stumbled out of a bar together and barely know each other. I think one of the key aspects of the Bulletproof way of being is that you understand the philosophies and reasons behind certain things that are done. I don’t think it has the same impact on a multi dimensional level if you just hear a friend talk about how great they feel following the principles and then you look up a few recipes and start doing the ‘Bulletproof thing’. I think there is a need to understand why certain things are done and at what times of the day are optimal for certain food types. Of course you could pick up the 2 week program, follow it to the letter and have great results, but as I mentioned above, a large part of the program encourages each individual person to listen to and be in tune with their own food experiences, so without understanding the information behind the program, you can’t effectively tailor your own Bulletproof blueprint and create that essential, unique program that bio-hack’s your own body. I’ve never followed any ‘dieting’ style plans previously and I’m definitely not saying the Bulletproof program is a ‘fad diet’ as such – sure it has the ability for rapid weight loss if that’s what you need and are after, but I also think much of that can be your body rebalancing to level out as you bio-hack your self. I guess at the core of any kind of weight loss program is the need to understand reasons behind why you are doing things so it makes ‘staying on track’ easier and more successful. However in my experience, all ‘philosophies’ we’ve studied and followed in the past such as NT, Eat Right For Your Type (ER4YT), the Turn Over a New Leaf Detox program and even raw food to an extent – have little to no real need for you to educate yourself first in the research and philosophy behind the program, before you begin. Each of them sure, has information that accompanies their philosophy – but nothing really compares to the extent of the experiences Dave Asprey has put himself through in creating this deep and revolutionary program. I have to say, as I enjoyed this re-vamped Vanilla Latte recipe below the other day, I couldn’t quite put my finger on what the flavour reminded me of – there was this really satisfying sweetness (without being an intense ‘sugary’ sweetness) amongst the creamy taste and texture. And then it clicked – it was like the smooth, creamy flavour of a jersey caramel. Seriously! I’m really looking forward to the next time we make this. Now, without further ado – our Bulletproof inspired Vanilla Latte for a nourishing and satiating afternoon or evening delight…. The following recipe is quite nice. 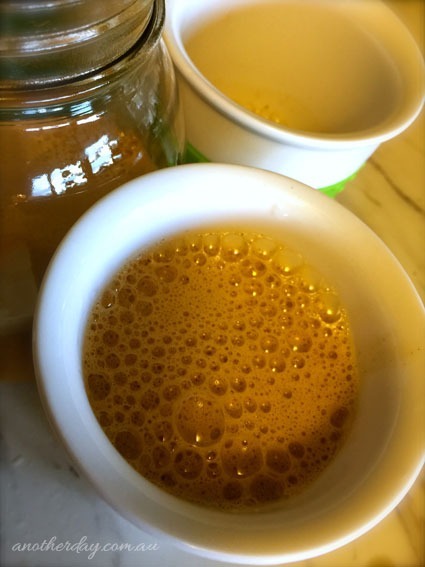 In my opinion it really improves on the original Bulletproof No-Coffee Vanilla Latte recipe – but there is just a small opportunity for a teeny tiny something ‘more’ to be added here. I’m looking forward to ordering (hopefully soon) some Four Sigma Foods mushroom packets. I’m wondering if a packet of Reishi to start to wind down into the afternoon might be a nice idea, or possibly even Eazy might be the final piece to complete this puzzle. Maybe the simple addition of an egg yolk or two would do the trick? If you’re after Four Sigma Foods in Australia – I discovered that GPA Wholefoods carries some of their products, which is great. Please do be careful when blending this together. 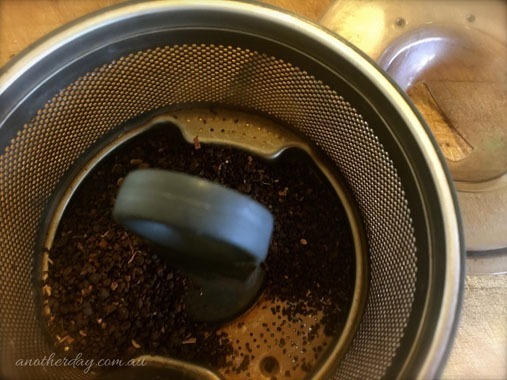 If you are not experienced with blending hot liquids then please do some research first – it of course can be quite dangerous if you do not do so in an educated and mindful way. Pour into your favourite tall glass or mug and enjoy warm or allow to cool slightly and pour over ice cubes for a nice Summer iced tea.